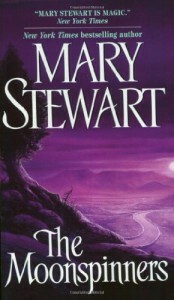 This was my first Mary Stewart novel - and I loved it! For me, the biggest fun was being transported to such a magical time and place. 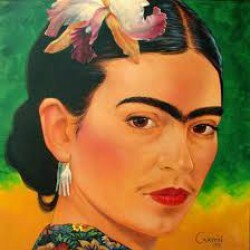 Call me old-fashioned but I love a heroine that is spunky and sweet at the same time. Nicola is just that girl. She arrives in Crete for a holiday and is unintentionally pulled into a dramatic mystery/murder/kidnapping that is being played out in the island. Prior to her arrival, two brothers have a run-in with local trouble and are being hunted/kidnapped by some really nasty bad guys. During her exploring, Nicola accidentally meets the older brother, Mark Langley, and wants to help. Although Mark encourages her to stay out of the whole mess, Nicola presses on. As a reader, I really liked that the characters were well-developed and drew you in immediately, not to mention all of the excitement and tension. Nicola's tenacity in helping the brothers showed courage, strength and a stick-to-itiveness that was so appealing. I liked sneaking off with her and finding pieces of the puzzle together. And, there is just the right amount of romance and love floating about. If you are looking for a page turner, this really fits the bill. The reader gets to follow along on some pretty hairy experiences which makes it fun. If you could read a book and hold your hands over your eyes, I would totally do it. Thank you Jeanette, Misfit, et. al for a great buddy-read and intro to Ms. Stewart!